It takes a lot to create a legend these days and Orient-Express Hotels, recently rebranded as Belmond, has done just that with its extensive renovation of the 100-year-old El Encanto in Santa Barbara, Calif. 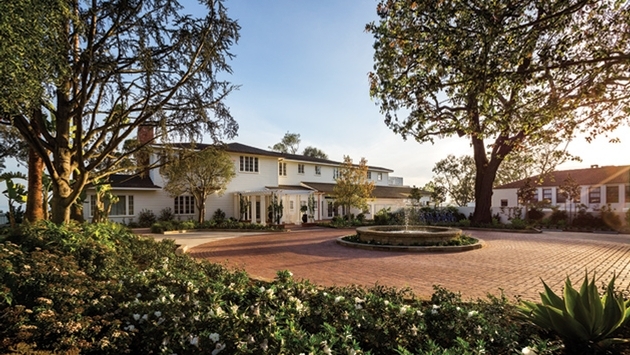 Even though this hotel has hosted U.S. presidents and icons of Hollywood’s Golden Age within its California Craftsman and Spanish Colonial expanse, it is none the worse for wear today. A seven-year revamp can do a lot to pump life and color into an older resort, and this one is now basking in its close-up. Known for its iconic collection of small boutique hotels and resorts, Orient-Express knew just what it was doing when it acquired the property in 2004 for $26 million. At that time, the hotel was in serious need of renovation, and so it was closed in 2006. The property first became the fashionable El Encanto in the 1920s, and over the years it hosted the likes of Franklin D. Roosevelt, Clark Gable, Carole Lombard, Hedy Lamarr, Mikhail Baryshnikov, John Kennedy Jr., Gwen Stefani, Barbra Streisand, Wolfgang Puck and Leonardo DiCaprio. They often stayed in the Wishing Well suite (formerly the Presidential Suite), with its 1,000 square feet of space and its own front porch. Working steadily with the Santa Barbara Landmarks Commission, Orient-Express spent $109 million to rebuild the El Encanto and completely refurbish its 92 rooms and suites. The hotel reopened its doors last March, reflecting a California splendor that is no longer easy to find. Accommodations: El Encanto features California Mission and Craftsman-style bungalow accommodations, designed over the past century, with wooden porches and period décor. It offers 70 rooms and 22 suites, including 63 with gas fireplaces, 40 with private terraces, 21 with coastal views and 11 with garden views. King and double rooms range from 350 to 600 square feet, while suites are mostly 600 to 650 square feet with the exception of six specialty suites that are 800 to 1,100 square feet. Rooms feature wood floors with plush and tasteful Oriental-style carpeting, large beds with soft, plump European bedding, comfortable craftsman lounge chairs and ottomans and an ample desk. Rooms feature large flat screen TVs and working fireplaces. Bathrooms have heated marble floors, double sinks, gold-plated fixtures and deep soaking tubs. There is plenty of side space around the tub and a complimentary urn of aromatic bath salts to complement the Acgua di Parma bathroom amenities. There’s also a separate marble shower stall with a rain shower, a separate commode room, and dressing area with built-in wall closet, full-length mirror, drawers, safe and plenty of storage space. Wi-Fi is complimentary, and there are plenty of contemporary outlets around the desk area to power all devices as well as an iPod stand with speakers. The Los Angeles Times is delivered early in the morning. Public Spaces: The lobby building, located at the heart of the hotel, separate from the bungalows, opens up to a wide dining terrace with views of the Pacific. While this popular spot also received a facelift, very little has been changed over the decades while the venue has hosted Santa Barbara blue bloods and local celebrities. The hotel’s reception area is easy and uncomplicated for guests checking in and is located just steps away from a library parlor with overstuffed seating, shelves full of art books, and a large fireplace. This is where the hotel serves afternoon tea, complete with homemade scones. Nearby is a grand piano and on weekends a Sinatra-like singer performs. Just beneath the lobby, there’s a 3,000-square-foot ballroom with windows offering views of the Pacific. The function space is perfect for wedding receptions and events that seat up to 160 guests. 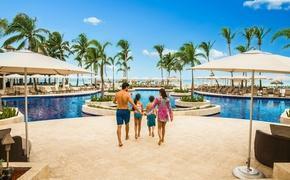 El Encanto has a total of 12,460 square feet of function space holding 30 to 200 guests. Dining: Food at El Encanto is clearly a major draw. Chef Patrice Martineau’s resume includes stints at Peter at The Peninsula Tokyo, The Savoy in London, Daniel in New York City, mentoring by Christophe Cussac and plenty of television appearances on the BBC. Dishes fuse Santa Barbara’s local fare with California contemporary cuisine and bring in influences from trendy French and classic Japanese food. Guests can enjoy such delicacies as abalone, along with risottos, creative California salads, New York cuts and even DB-style burgers. Entrees run $20 to $54 for dinner, a bit less at lunch, and desserts are $10. Pool & Spa: A heated and very quiet pool faces the Pacific. The Spa at El Encanto, a full-service facility with seven treatment rooms, is located in the lobby building and contains a large steam room and a plush central waiting area complete with teas and dried fruit. Treatments run 50 and 80 minutes with a full menu, including four-hand massage, active organic facials and Pinot scrubs. For each season, a special spa package is created using local garden herbs, including basil, sage or peppermint. Sessions start at $160, although multi-treatment gift packages begin at $345. Activities & Excursions: Guests usually come to the El Encanto seeking rest and quiet, but not far from the property is the old Santa Barbara Mission (circa 1786) as well as trails and parks through the old California oaks that surround the hotel. Downtown Santa Barbara is just 10 minutes away with stylish shopping, dining and walking on State Street to the beach. The Santa Barbara Museum of Art features an extensive collection of 19th- and 20th-century paintings and photography from Europe, Asia and the U.S. Admission is $10. Great beaches lie just south in Carpentaria. Ojai, on the way to Los Angeles, is a quaint artists’ colony hidden in the mountains that makes for a memorable day trip. Key Selling Points: El Encanto is the only Orient-Express (now Belmond) property in California and one of only four in the entire U.S. The level of luxury offered is evident in the service, which is subtle, hidden. Staff members instantly take care of any request without question or concern. Bungalows are private and noise is not a problem. Indeed, guests rarely run into other guests. For those who like to wander, there are several magical places to see, such as the lily pond, which is a great spot for weddings, but is otherwise a quiet and meditative place to visit. There’s also the wishing well and its views of the ocean, the lobby terrace and the streets of the neighborhood that climb and wind to reveal Old California mansions high above the surf. El Encanto is a sure bet for those who want a quick getaway or those coming from afar desiring a luxurious and refined property on the California coast. The property is also perfect for destination weddings and honeymoons. Couples enjoying their golden years also can appreciate the ease of El Encanto and its slow-paced, unintimidating élan. The property’s lower price points are not out of line with what hotels in Los Angeles charge, but rooms here come with spectacular views and magnificent grounds. In addition, Santa Barbara itself has its own charms, including eclectic galleries, boutiques and lots of great streets for strolling. Rates & Commission: Rates range from $350 to $1,800 per night depending on the room selected, the day of the week and the time of year. Commission is 10 percent. El Encanto also offers a number of packages. For example, the Monarch Butterfly Migration package celebrates when the Monarch butterflies migrate to the Coronado Butterfly Preserve near Santa Barbara. The package, which runs through March 15, includes seasonal rates for luxury accommodations, $60 daily breakfast credit per room, signature Monarch cocktails for two, and one healing cocoon spa treatment per room per stay. A gourmet package targeting guests who appreciate seasonal Californian cuisine and an extensive list of regional wines, includes seasonal rates for luxury accommodations, welcome amenities, a $60 daily breakfast credit per room, and a $150 dinner credit per room per stay. Location: El Encanto is less than a two-hour drive from Los Angeles International Airport. Alternatively, the Santa Barbara Municipal Airport is just 15 minutes away. For more information or reservations, call 800-393-5315, email reservations@elencanto.com or visit www.elencanto.com.